Time was, the name "Wharton" signaled something. Prestige. Power. Off the charts entitlement. A long, proud history of sending students to the National Championship of DCF Modeling and and sending the "competition" home with tears in their eyes. Now, though? Future Masters and Mistresses of the Universe can&apos;t even bother to apply. Something at Wharton doesn&apos;t add up. Applications to the University of Pennsylvania&apos;s business school have declined 12% in the past four years, with the M.B.A. program receiving just 6,036 submissions for the class that started this fall. That was fewer than Stanford Graduate School of Business, with a class half Wharton&apos;s size... business-school experts and b-school applicants say Wharton has lost its luster as students&apos; interests shift from finance to technology and entrepreneurship. "We&apos;re hearing [applicants say] Stanford, Harvard or nothing. It used to be Stanford, Harvard or Wharton," says Jeremy Shinewald, the founder of mbaMission, an admissions advisory firm. 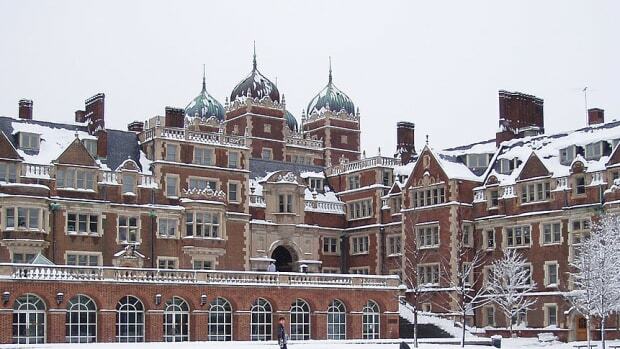 Could the days of applicants regarding Wharton as a safety school not be too far off? On the contrary, say admissions officers. In fact, the decline in applications speaks only to how sure people are that they&apos;ll be rejected from the most highly regarded business school on earth.